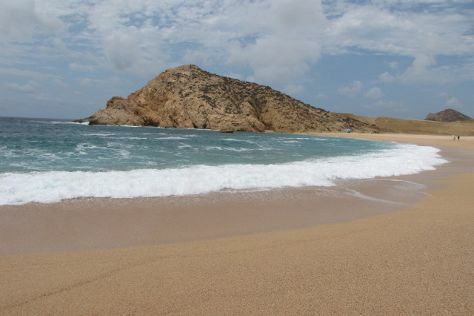 Escape the urban bustle at Playa del Amor (Lover's Beach) and Chileno Beach. Your itinerary includes some good beach time at Santa Maria Beach and Playa Acapulquito. Explore the numerous day-trip ideas around Cabo San Lucas: San Jose del Cabo (La Paloma Boutique, Paquime Gallery, & more). On the 7th (Fri), enjoy an adventurous day among the treetops at some of the top local zipline courses and adventure parks. There's lots more to do: take in the exciting artwork at Golden Cactus Gallery, explore the activities along Bay of Cabo San Lucas, soothe aching muscles at some of the top local wellness centers, and see the interesting displays at Galeria Museo. To find ratings, photos, reviews, and other tourist information, read our Cabo San Lucas vacation builder. Use the Route module to find suitable travel options from Louisville, USA to Cabo San Lucas. The time zone difference moving from Eastern Standard Time (EST) to Mountain Standard Time (MST) is minus 2 hours. Expect a bit warmer weather when traveling from Louisville in October: highs in Cabo San Lucas hover around 85°F, while lows dip to 74°F. Wrap up your sightseeing on the 10th (Mon) early enough to travel back home.